In less than two weeks, my little dude will be starting kindergarten. To prepare for his first year in elementary school, we&apos;ve been doing lots of hands on learning this summer...and that includes crafting. I remember having so much fun working on little art projects with my mom when I was little and I wanted to create those special memories with my own kiddos, hence the craft station that now lives in our family room. I&apos;m certain that the early exposure to arts and crafts fostered my creativity! We just got our school supply list the other day and glue was at the top of said list. Elmer&apos;s has always been our go-to glue, so when we went school supply shopping, Elmer&apos;s School Glue and Glue Sticks went right in the old basket. 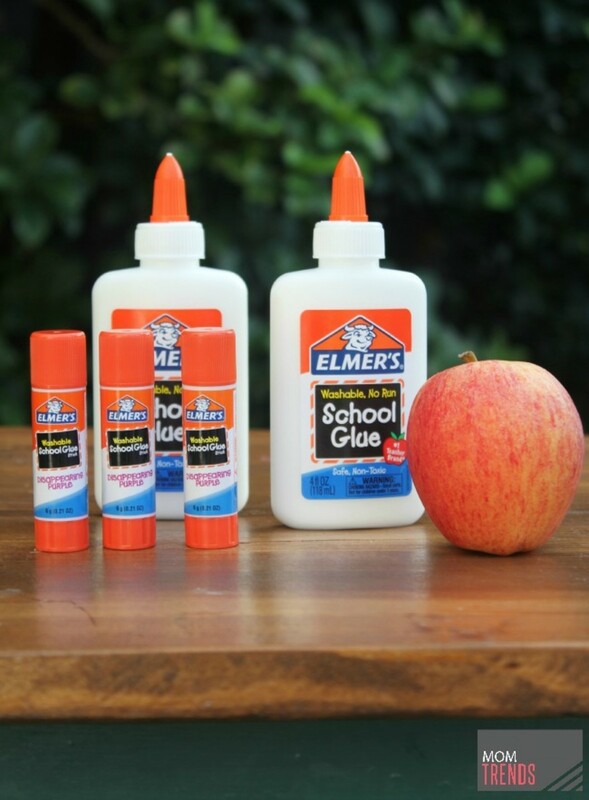 Elmer’s is America’s #1 School Glue. 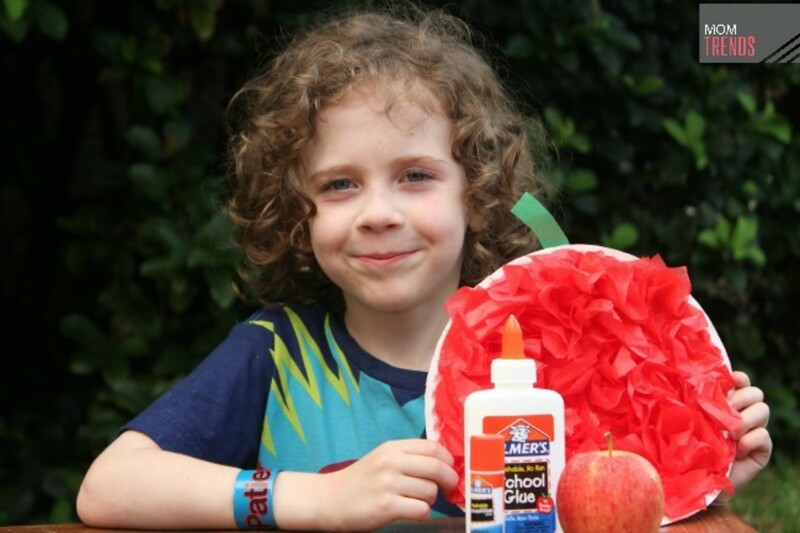 A must-have for every backpack, Elmer’s School Glue is always safe, always washable. I actually picked up a few extra supplies on my shopping trip, including extra Elmer&apos;s Disappearing Purple School Glue Sticks because my kiddo couldn&apos;t wait until school started to dig into all those cool supplies. We obviously had to create something right away...and since the alphabet has been a big focus of our summer study, we decided to use the letter A as inspiration and create an easy apple craft. 3. 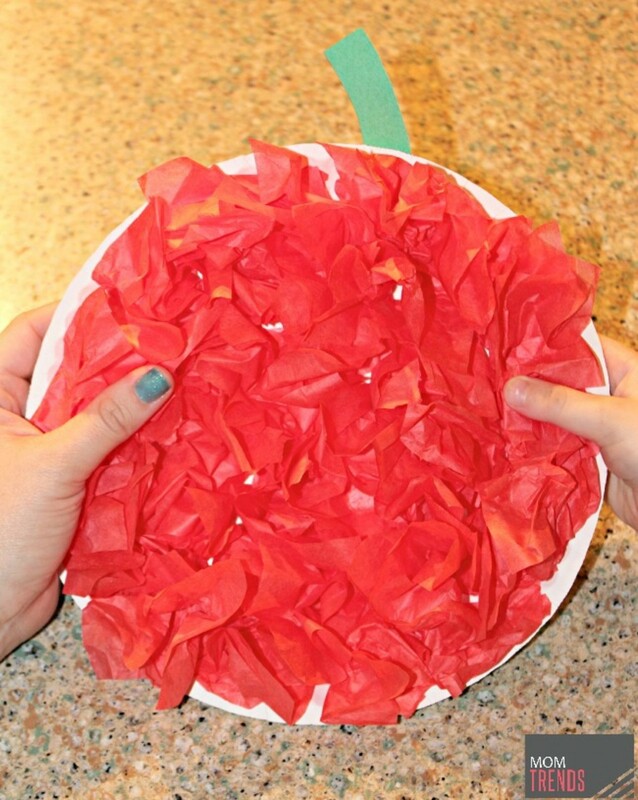 Pinch the tissue paper square at the bottom and apply to the plate. 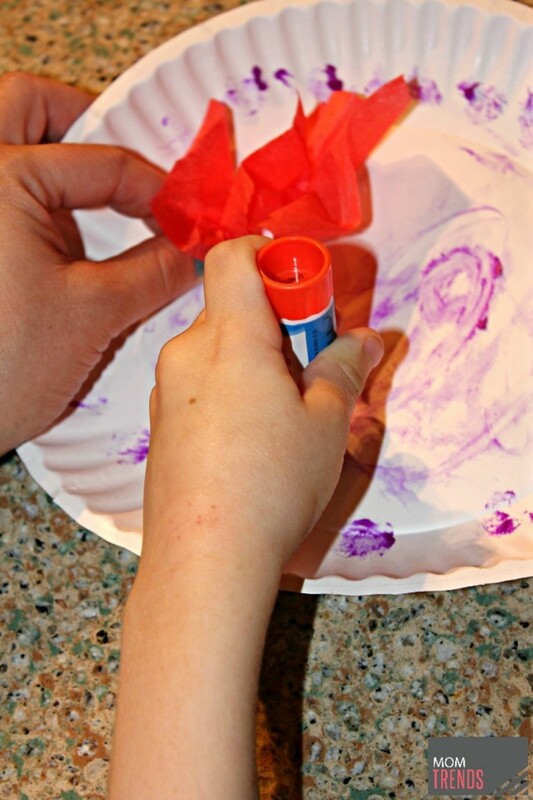 Keep adding the tissue paper until the paper plate is covered. 4. 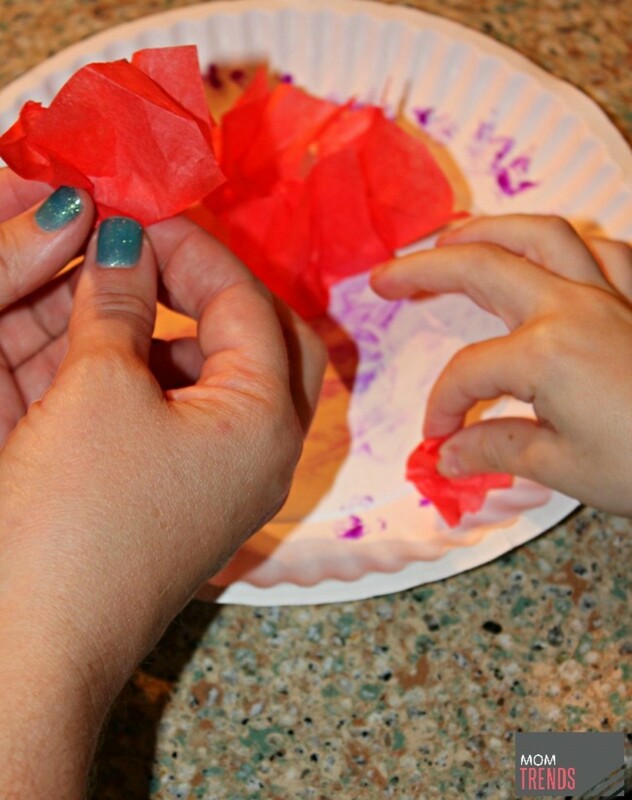 Cut out a stem from the construction paper and glue to the top of the apple. I think our finished project turned out pretty darn cute and we had so much fun crafting together! 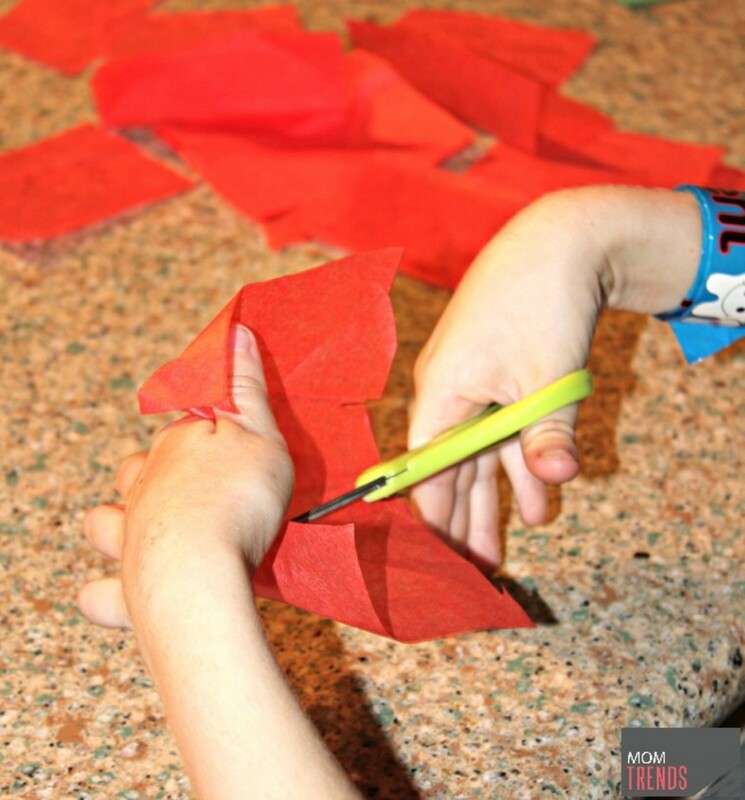 And if you love making crafts with your kids too, you should consider joining the Elmer&apos;s Parents Club where you can submit your own projects, interact with your fellow members, get the first look at promotions and sweepstakes and more!